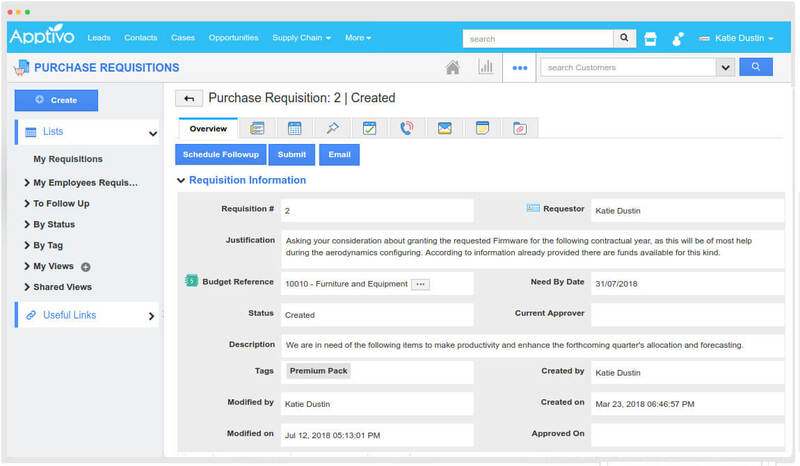 Deal with your Purchase Requisitions in a focal place utilizing Apptivo. 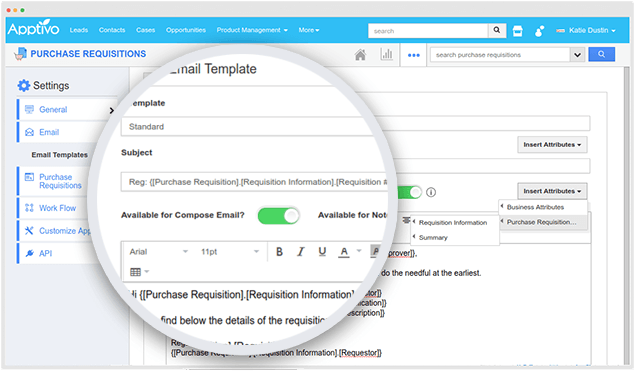 Start creating your request for items in need, by providing the requisition information and details. And submit it for approval and make your request a purchase order. 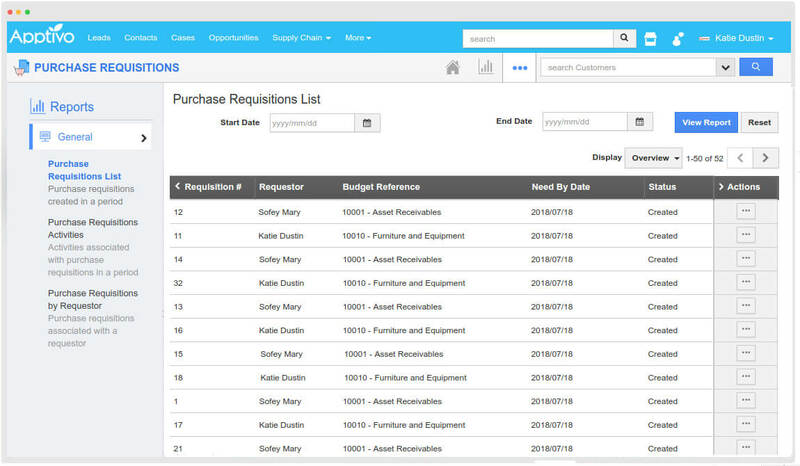 View and generate different sort of reports for purchase requisition list and activities within a particular period. Also get reports associated with the requestor. 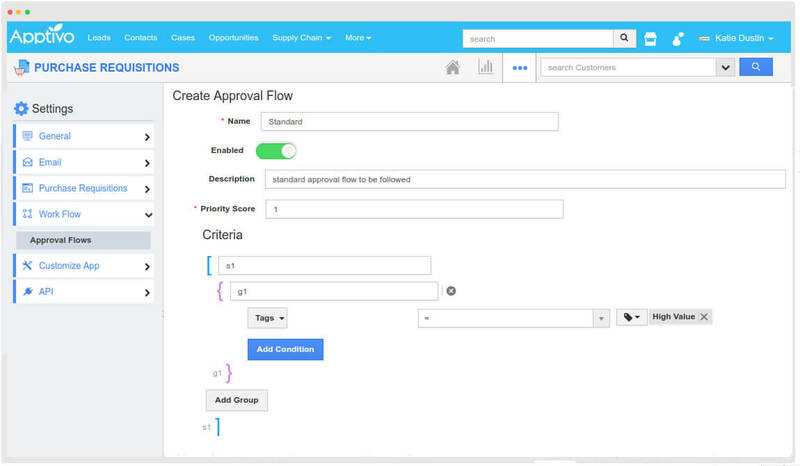 Enable and create up your own approval flow and add up your actions on submitting, approving or rejecting. 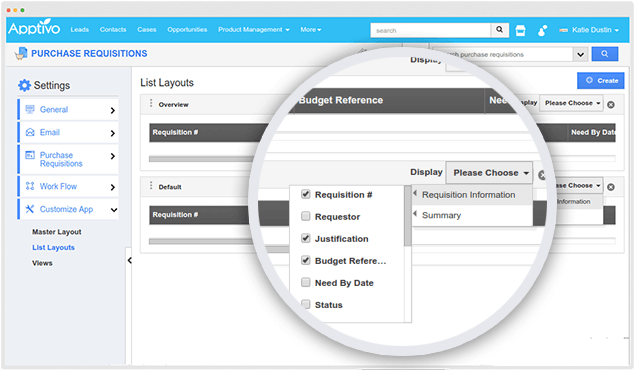 Select your needed approval flow when creating a requisition. Design n number of beautiful, eye catchy and customizable email templates to effectively communicate with your audience and share your message. Change the look of your Apps required for your business. 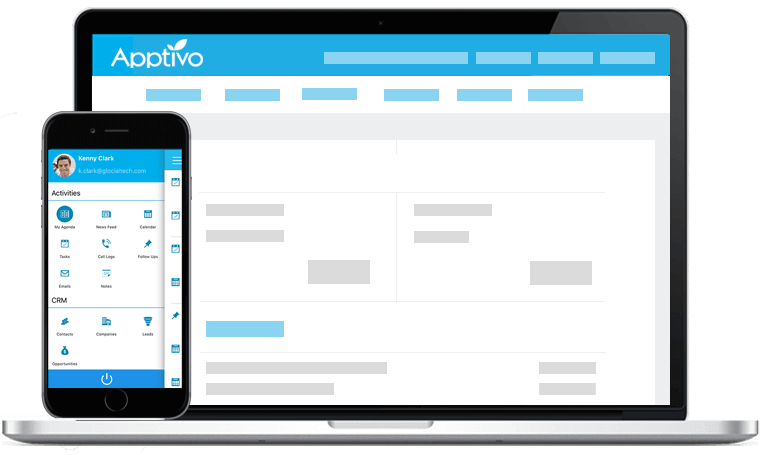 Switch up the background, color and design of the graphics and even customize the texts.